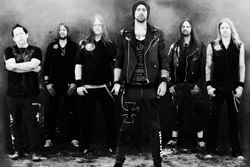 When it comes to creating their power metal, Sweden's Bloodbound has always operated from a simple formula: go big or go home. With their latest, and sixth album, Stormborn, Bloodbound has changed that formula to "go bigger or don't show the hell up." Everything about this album seems larger than life, bigger and more bombastic, like they've been smoking the reefer of Italian symphonic power metal. That, or lurking about the studio when, fellow Swedes, Sabaton were making their last album. 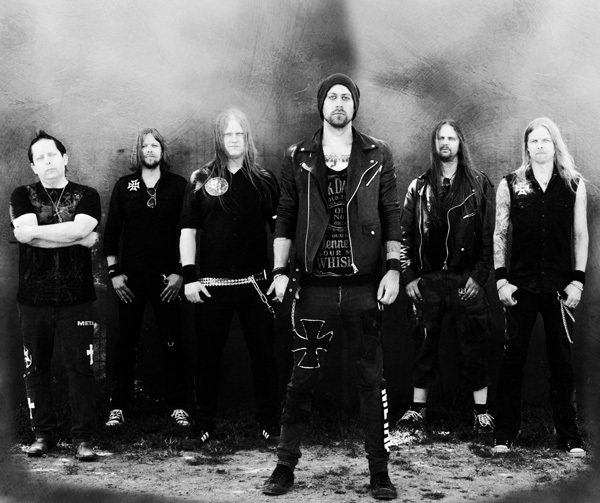 The twin guitar riffage sounds more encompassing and emphatic, the leads unapologetically over-the-top, the keyboards making the overall atmosphere more grandiose, and the vocal arrangements sweeping up into the heavens like a heavy metal choir. That last element was one of the very first things that caught my ear. But just as significant is that the harmony, melody, and groove are even more immense than ever, embracing every song. Underneath it all, Bloodbound has not forgotten the swift tempo of power metal, but they also moderate this at times. If anything, Stormborn, definitely continues the path laid by In The Name Of Metal, a true power metal groove monster. Though the whole album is pretty terrific. Here are some of my best picks. For the true speed of power metal, check out Iron Throne, Seven Hells, or When All Lights Fail. Swift, heavy, and keenly melodic with lots of big guitars. For something near more traditional metal with a moderate pace, Made of Steel and When the Kingdom Will Fall deliver with passion. While the vocal arrangements are huge throughout, you'll find Nightmares From The Grave interesting as it has a children's choir in the latter third. Kind of creepy in context. Basically, Stormborn is the kind of album that makes 'true' metal fans pop a chubbie in a power metal bromance. It also the kind of record that makes critics of the genre cry in their Stella Artois (you know, the beer for losers). 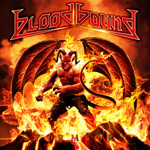 Bloodbound's power metal is the right blend of speed, intensity and heaviness with melody, harmony and groove. Is this the best Bloodbound album yet? Maybe so. I can dig it (but no power metal woody yet). Easily recommended. Bloodbound's Stormborn is the kind of album that makes 'true' metal fans pop a chubbie in a power metal bromance. It's the proper blend of speed, intensity and heaviness with melody, harmony and groove.